Facebook, Airbnb and the Arctic Monkeys all go to show that it doesn’t matter if your name is contrived as long as you come through with the content. SoundEat! celebrate their third edition in their third location with an assortment of elements to appeal to all interests: activities for the offspring, mobile designer snacks for the peckish and a more than respectable musical offering. Basque beach boys Delorean present a set of their good-time influences and San Soda is another great booking for a mid-spring afternoon, keeping things organic and upbeat. El Último Vecino presents his national brand of electropop while Bearoid’s urban house will surely be enough to get people moving into the evening. 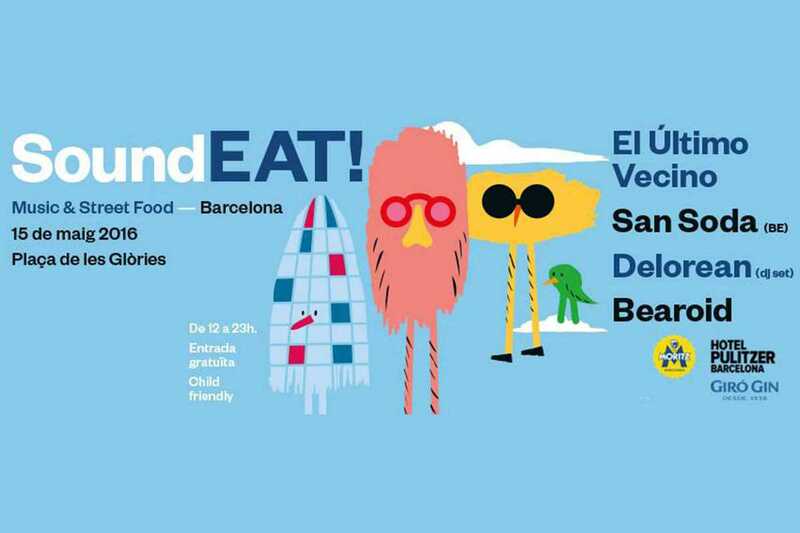 The festival’s family-friendly format is becoming bigger in Barcelona as folk wish to follow their musical tastes in the sunshine, without the anti-social hours and with their children. It’s good to see the council donating public space to make it happen.